Hikes are offered whenever I am on Island. Schedules are extremely flexible and I will walk with a group of just 2 people as I still need and enjoy the exercise. I also enjoy meeting new people and answering any questions you might have about my island home, St. Croix. Reservations are a must on all hikes! If no one is booked for a scheduled hike, I just might go in a different direction. Judith’s Hill and Boyd’s Botanica Hike and Tour. This is a moderately easy hike along good trails and roads from sea level to the top (238 ft.) of Judith’s Hill with a stop at Boyd’s Botanica. This area was important to the Indians, Pirates, Knights of Malta and raising cattle. The plants of Boyd’s Botanica were important to and imported by every culture and ethnic group. Scheduled every Tuesday and Thursday at 9 am, the hike starts outside the entry gate at Judith’s Fancy. The cost is $25 per person. Goat Hills Guided Hike and Tour. This is a difficult trail that will stress the most physically fit if they fail to properly rehydrate. The very east end of St. Croix has 600 pristine acres, two isolated white sand beaches and almost no visitors. Farming and survival were very difficult for all groups who lived in this area because of a lack of water. Yet the area is still a living record of many important plants of the Indians who prospered in this area for over 1500 years prior to Columbus. The land and trails are maintained by the Nature Conservancey. Scheduled every Friday or Saturday between 7 and 9 am (earlier is better), the hike starts at Cramer’s Park. The cost is $50 per person. There are many other places which I am exploring including Ham’s Bluff, Ha’Penny Beach and Sandy Point. I am very flexible in the hikes I like to take, so please ask. If I have nothing planned or no other reservations, I just might be able to work with you and take you where you want to go on the day you want to do it. Remember: Reservations are a must or I just might be out exploring new trails instead of sticking to a rigid schedule when I have no guests to guide. 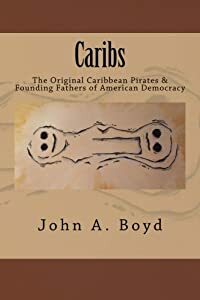 Since I finished my book on the Lost Pirate Treasures of St. Croix, I just might be out searching for the lost pirate treasure of Tortuga which is probably buried on St. Croix. 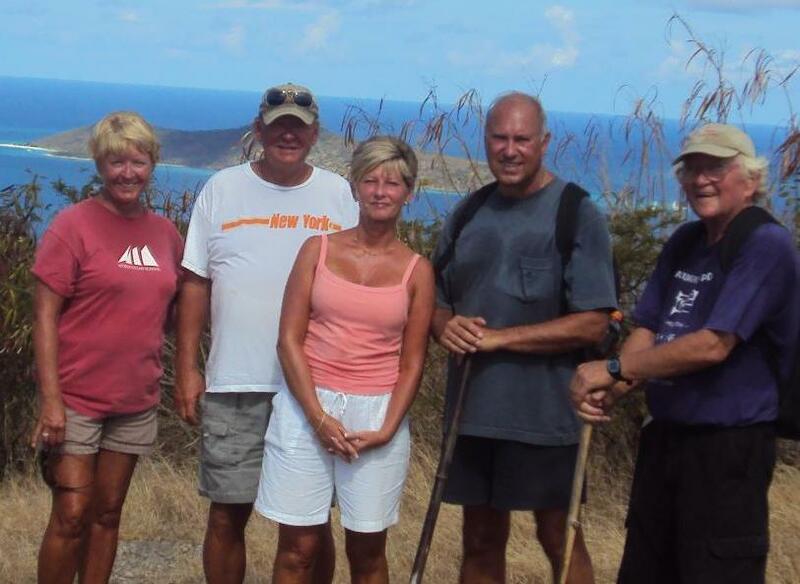 Hike St. Croix Home Page. We will be in St. Croix a week from today. We are interested in your goat hill hike on Friday april 13. How long does it last? Do you pick up from the Renaissance? Are tennis shoes OK or would we needed hiking boots for that trail? How many people are usually on each hike ( there would be 2 of us)? I would be delighted to take you on the goat hill hike on Friday the 13th. This hike takes 3-4 hours and covers five to six miles depending on how much exploring and beach walking you care to do. After Easter, it would not surprise me if you were the only ones on the hike so I would cater to your individual needs. It’s also possible that I could be joined by some locals who enjoy tagging along, but you would still remain my first priority. Tennis shoes are fine as there is only one section near the top where extra care has to be taken and I provide walking sticks for you convenience. (I use one on every off road hike.) The absolute group size would definitely be less than 10 and I would expect that it would be much less. At this time of year, we as a group would probably be the only ones walking in the Nature Conservancy property with over 2 miles of pristine white sand beaches. Unfortunately, local laws preclude me providing a taxi service so I cannot pick you up but would meet you outside the fence at the Satellite dish which is part of the deep space radio telescope project that was seen in the movie Contact. This is across from Cramer Park. This might be an ideal day for you to rent a car and explore town and the east end during the afternoon. A car rental from Centerline or Olympic is cheaper than trying to get a taxi to take you in both directions. After the hike there are several east end beaches and restaurants where you could stop for lunch. Since are the first to sign up, you can choose the starting time and anywhere between 7 and 9 is good. I would suggest 8 o’clock so you finish before it gets too hot (peak heat is around 3 pm) and in time for lunch. My goal is for you to have a good safe hike and walk without any discomfort so you enjoy all of your vacation. Bring along a bottle or two of water and a nutrition bar or two. Are you doing the Judith Hill hike tommorrow (4/19)? If so, how many hours does the hike take? I have to leave for the airport at noon but would like to fit in a hike between 9 and 12. Will Do. Call in Am. ; Will be By Palms tomorrow about about 8 am Meet at Judith’s fancy Gate at 8 am will be done by noon. Apparently need to leave more time for customs than I thought according to hotel so I can’t make it after all. Very sorry. Next time! Hi, We would be staying be at the Divi Carina Bay Resort (late May / early June) and want to take advantage of the hiking there. Do you pick up from there or what hike would you recommend for my wife and I? Excited to see St. Croix! Thanks. Divi is a great place for hikers as it is next to the Park system at the east end that covers 600 acres of trails. I would recommend you walk there as early in your stay as possible so that I could teach you all the trails and beaches in this area and you could visit it as often as you like, there are two pristine mile long white sand beaches and this is turtle nesting season where you can observe but not interfere with these federally protected species. There are also several secluded coves which are accessible if you know how. The view from Sugar loaf hill in the goat hill system is specular. Since it is now out of season, my schedule is very flexible and you could choose the day. I still charge the same $50 per person for 3-4 hours of my time which is sufficient to see the whole area and get the knowledge you need to explore it at your leisure as often as you like. I could meet you at the Divi lobby and and would recommend about 8 am. I also hope you get a better knowledge and understanding of St. Croix so you will love it as much as I do. You should carry water and a power bar and wear comfortable walking shoes. Mine are either Vibrum or New Balance depending on my mood. Feel free to contact me as often as you like by phone or this site. My boyfriend and I will be visiting St Croix the last week of June and we both love hiking! It would be great to have your help in exploring the island. Please let us know what your availability is for that week. We are staying at Carringtons Inn and we will have a car. We are looking forward!!!! Pretty much season has slow down but I love hiking and meeting new people so I offer The Judith Hill hike and the goat hill hike on demand at the same prices. Some times we are joined by others. mostly it will just be me and the two of you. I always suggest you take the hike as early in your vacation especially if you want to learn about St. Croix. I tend to talk about people, geology, history and plants to start and then focus on whatever you are most interested in. Also, I talk about all the things to see and do depending on your interests. So think about what you would like to do and let me know. Hi John! Thank you for your response! This sounds just wonderful!!! We are flying in on Sunday afternoon (6/24), so it would be great if we could schedule the hike for Monday (6/25). Should I call you on Sunday when we arrive to arrange further details? Thank you very much John – we can’t wait to get there! Depending on what shape you are in, I have two hikes that I highly recommend. The hike from Judith’s Fancy Gate to Judith’s Hill takes about 2 hours. It is along trails and roads and we cover mostly the periods from the Indians to the Knights of Malta. Cost is $20 per person This is more a stroll through my gardens and along some historical areas. It is not too grueling, and I have taken some very out of shape people on this hike who enjoyed it. The Goat Hills, East End Marine Park system passes by pristine areas maintained by the Nature Conservancy. We hike to the top of Sugarloaf hill at the 700 foot level than down to the beaches on the other side. These beaches are inaccessible except by walking and total about 2 miles of beach where you are unlikely to see many other people. There are lots or places for great pictures. This is a tough walk, of about 4 hours and covers 4-6 miles depending on your desires and adaption to our climate. I try to be very flexible and insure everybody’s comfort and safety. My husband and I will be staying at the Buccaneer, June 20-22 this week. He is making business calls but i am free to explore. The Judith’s Hill hike looks good to me. Any chance you have others already scheduled to make the trek this Thursday? My fiancee and I will be on the island next week and would like to do the Judith’s Hill hike on Tuesday. Will you be available? Thank you. My fiancee and I will be on the island next week. We were hoping to do the Judith’s Hill hike on Tuesday. Will you be available? Thank you. Mark, so sorry I missed you. I was on vacation with my two granddaughters and completely preoccupied. I did a poor job of checking emails. When I am around, I love to hike and meet people and am sure the lack of your company is my loss. I I was wondering if you are doing the hike this Thursday? I called your phone and left a message. I’m a UVI student working on an article on hiking in St. Croix and would like to attend a hike and interview you. Serena, I am so sorry that I have ignored my emails and site since Hurricane Issac on the 24th. Been trying to get my two granddaughters back to Virginia to get to school on time. Arrived Yesterday and will be back Sept 4th. If it’s not too late for your schedule, I would love to take you as early as Wednesday the 5th. Don’t know how I missed your call the first time but give me a call and leave a message if I don’t answer. I will call you back. To make up missing you, your hike is free bring a friend and have fun. Are you scheduled to hike tomorrow, this Thursday? If so, I would like to sign up. Thank you. No problem. I would still like to compensate you though. The 5th would be great! Hope everything works out. Great see you Wednesday 9am. Park outside Judith’s Fancy gate and we will walk from there. See you then. I just realized that I have three classes on Wednesdays and meant to schedule the hike for the day I have no classes, which is Thursday. Would it be OK to reschedule our hike for Thursday instead of Wednesday? Let me know if that’s OK or not. A OK see U then! I was wondering if it were possible to do the hike on Thursday instead of Wednesday? I have three classes on Wednesdays but none on Thursdays. OK, let me know if that works or not. Thank you. Do you have any hikes available for Thursday or Friday morning of this week? (September 6th or 7th?) I would be interested in booking. I am not real real familiar with the island. Is Judith Fancy Gate a resort? Or neighborhood? Judith’s Fancy is a Estate Name for a gated Community and the Palms is a resort. Will call with directions. Hi John! I’ve been reading through your site. I am in the process of researching/planning our family vacation for summer 2013! We are taking a cruise with Royal Caribbean and will be in St. Croix on Sunday, June 30. No one in the family has been to St. Croix before…we are a party of 5…Grandma, Grandpa, Mom and Dad, and a 12-year old grand/son. We are all so very conscious of our health and fitness…I’m inspired by you, reading through your blog…I wonder if you would plan a hike with us for our day in port? It seems to me to be the very way that we would like to spend our day in St. Croix…but I don’t know if you would plan something on a Sunday? That’s the first question. If you would…we can talk about options. Again…I don’t know where you are in relation to where the ship would dock…and what would be the best way to meet up with you for a great hike and what would be a nice hike for total newbies to St. Croix. Sorry for the delay in responding but I have been busy with my own vacation and am now trying to catch up. I would be delighted to hike with you on Sunday as I find mother nature soothing. I can sculpt the trip to your family needs. My two favorites are Judith’s Hill which has beautiful plants and the area is rich in the history of Amerindians and Pirates. This is a fairly easy hike and I have taken people from 6 on up and well into the seventies. The hike takes about 2 hours and transportation about the same. For a group in excellent shape, the Sugarloaf Hill Hike is fantastic. Once again I have taken my granddaughters from six years old but you must expect a little grumbling. This has a tough hill climb and several pristine beaches. This would be a full day. I would have to find the availability of transportation but it might be more reasonable to rent a car and I ride with you so you can get a complete tour of the island. Let me know how many in the group and I will explore the options and costs. I’ll take a look at the two hikes that you mentioned. We have a full day in port, but I’m not sure what time the all aboard is. Our group is in great shape…time is our greatest concern. We want to maximize our enjoyment time in port while not putting ourselves in a position of stress regarding our arrival and all aboard time. I’ll look at the two hikes you mentioned and discuss them with the family. We are a group of 5. Renting a car feels like it would be a hassle for the time we have in port. I think we would prefer to rely on local transportation, if we could find a reliable option there. any scheduled hikes between 9.th-12.th of November.? None scheduled to date but I would love to walk with you. Contact me as you arrive and I will let you know. If not let’s get together and schedule one. This is a little early for tourism season, but I will still enjoy walking with you wherever you want to go. You are doing a bunch of great stuff on St. Croix and I would love to walk with you. The East End is fantastic in January and it is pretty much pristine as claimed by the Nature Conservency. Just choose a day and let me know and I will definately schedule you. Probably the only day I might have a conflict is on Thursday when I will be walking in the Judith’s Hill Area. I am starting to put together a Plant Page showing our various species and where they originated, how they got here and why they are useful. First post will be today and I’ll be starting with the plants in the Judith’s hill area. 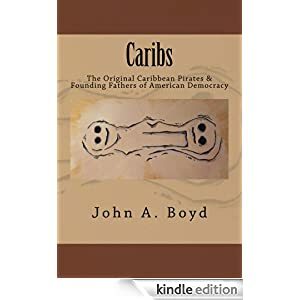 Been meaning to do this for awhile as there is no good book of St. Croix plants, yet we are the crossroads of Many cultures who all brought theur most important plants to the islands. Let me know as early as you can if you want the short Judith’s hill Hike or the pretty much all day East End Hike. Sorry Mike got caught up in a yard sale on Saturday and Sunday and took today off without checking my mail until now. If you want to try to schedule something this week, I am flexible and would be delighted to walk with you. No worries . . . want to try for Wed AM (the 20th)? I can meet you at 9 at the Palms if that works okay. Thanks! Tomorrow morning 9 am is excellent – see you then. Isn’t tomorrow the 21st? Yes, it is the 21st . . . helps if you turn the page of your calendar 🙂 See you then! Hi John–We’d like to hike with you sometime between 12/27 and 12/31! Josh, Sorry for the late answer, but I will be off island between December 26th and January 2. I will be visiting with grandchildren which unfortunately for others have always been a priority in my life. Have a Happy Holiday and a great visit on St. Croix. Will you be available for a hike on Monday, December 24? Thank you for the wonderful information you have posted here. First trip to St Croix so it is very handy! Have a great vacation, unfortunately I will not be back on island until January 5th. Hope you have a great visit to St. Croix. Hi Melissa, This season has been slow for hiking so all trips are on demand at the same prices.I love to walk the goat hill area and don’t have enough strong hikers to do it often enough. Because I love the area, I have no minimum group size. Easiest way to contact me is by phone or text 340-277-3737. I always call back. Almost every day is good for me especially Friday or Saturday. I will visiting St Croix from Feb 17 through March 3, 2013. What is the best way to contact you about scheduled hikes during that period? Hi Gregory, Easiest way to contact me is by phone or text 340-277-3737. I always call back. This season has been slow for hiking so all trips are on demand at the same prices. The real choice is a relatively easy walk in the Judith’s hill are for $20 (2 hrs) or a more difficult and longer hike (4-5 hours) at the east end marine park for $50.00 Look forward to seeing you and hope you enjoy paradise. By way of introduction, Beth and I had a home here for five years, ending in 2002. We have been back a couple of times and this year we are renting a house on the far East End. We enjoy St. Croix a lot, but know an embarrassing small amount of history and natural history of the island (we’re generally very keen on these subjects wherever we are). Next week, we have two friends visiting us from Louisville, Kentucky. We’re all around 65, and in reasonably good shape. Are you available next Tuesday or Wednesday? If you are, could you suggest an outing that is about a half day long? Although there are some good places on the East End, I’d like to take them somewhere on the West End that offers a little more biodiversity. P.S. By the way, can you let me know what you charge for this kind of outing? Hi Richard, I would love to walk with your group. I am available on both Tuesday and Wednesday and the other easy question is how much. For my two hour tour, I charge $20 per person and for a half day (4 to 5 hours) $50 per person. I believe the area which is richest in both biodiversity and history is the area between, Judith’s Hill, Judith’s Fancy and Salt River National Park. A comprehensive walk in this area takes about 4 to 5 hours and includes a discussion of a few hundred plants brought here by the Amerindians, the Europeans, the Africans and Americans for their medicinal, spiritual, recreational, nutritional, economic and aesthetic values. This is also the area which is rich in the history of Pirates, Dutch, Spanish, Jewish (both as slaves and salve owners), Africans (both as slaves and salve owners), English, Knights of Malta and Danish history as all influenced the development of this area. There are other places that are harder to walk and perhaps a little more pristine but none is more conducive to a discussion of the complex history of St. Croix nor with greater biodiversity. I look forward to the challenge of educating and entertaining your group. Give me a call at 340-277-3737 to discuss your options. My wife and I and a couple of friends will be cruising in the coming weeks and will be on St Croix on Tuesday, February 4. The ship arrives 8 AM and leaves 3 PM. We see you do the Judith’s Hill Hike on Tuesdays at 9 AM. Will you be doing that hike that day? If so, is it possible to get from the cruise dock to where we would meet you by 9 AM? I know you cannot legally shuttle people, so could you recommend transportation to and from where we would meet you? We love to hike and it sounds like you have lots of interesting things to show and tell us about. Looking forward to hike on Tuesday. Been freezing in Alexandria Va for almost whole month of January. Will be at pier with my green bowler hat from 8:30. will bring a list of places my family love to visit on St. Croix. Ask about anything you have heard of as I want you all to enjoy your special day on my island. Bring about 30 oz of water or we can stop for it. My family and I will be on island in November. We will be staying in the East End. Do you offer any hikes that would be suitable for children (ages 5 & 9)? 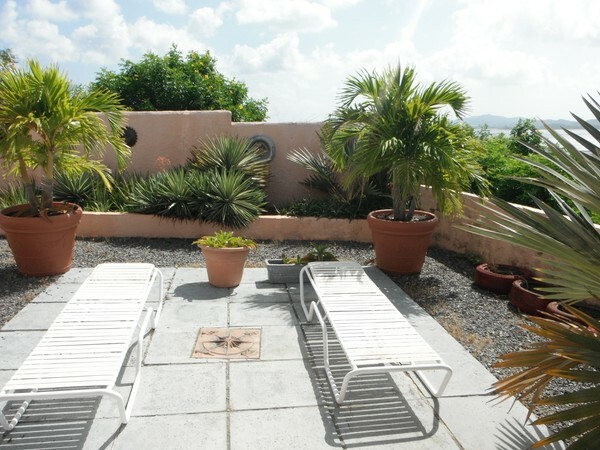 Hi, My husband and I are visiting St. Croix from 11/28 to 12/2. We would like to do a 3-4 hour hike on either 11/29. 11/30, or 12/1. Would you be able to do a trip with us? I am free to do a long informative hike on Monday and I can personalize it for you since I am not scheduled to do anything else that day. There are several choices depending on what you want to see or learn about. East End. This is the desert end of the island and the hike goes form sea level to 700 foot with beautiful views of Buck Island, the hills and two 1 mile long beaches. There are very few signs of houses or utilities and probably never will be as half is controlled by the nature Conservancy and the other half by the government. I rarely see more that a couple other people. This is a fairly strenuous walk. National Park at salt River Exploring the national park at Salt River is more moderate but still not easy. We start from the Judith’s Fancy gate and walk through the Village of St. John where there are visible ruins. The next section of the road through St. John has fewer houses and leads to the entrance to the National Park at Salt River. before leaving the park, we can go to a hill overlooking the bay and see the site of Columbus conflict with the Caribs, pirate battles, a dutch fort, a Taino Village with a Ball Court and about 2000 years of history. Since each culture built on top of the others you actually see a sandy beach and beautiful Bay but they were all located right there over the past 2000 years. At the end we have a leisurely walk through Judith’s Fancy along the shore line and past some lovely house then return to our cars. I can also do other tours that are more or less strenuous. So give me a call and tell me what you would like to do. Great. I am totally interested. Let me give you a call this afternoon. My son ( 1/2) and I will be visiting April 10 – 14th and would love to plan a hike. Please contact me email below. Sorry Lisa, for medical reasons related to back and hips, I am not currently hiking or even walking. I hope it is a temporary setback as I love to walk and interact with island visitors.